Over the past ten years, there has been a huge flow of younger expats into the Torrevieja area. 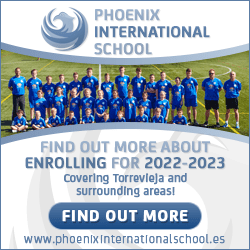 Towns like Rojales, San Miguel, Los Montesinos and Torrevieja have seen a massive increase of younger families coming. They have come not to retire but to build new lives for themselves in the Klondike that is (or was!) Spain! Like children the whole world over, the children of these families love football. So, in this 10 year period there have been a number of attempts to set up football clubs or teams for these children. 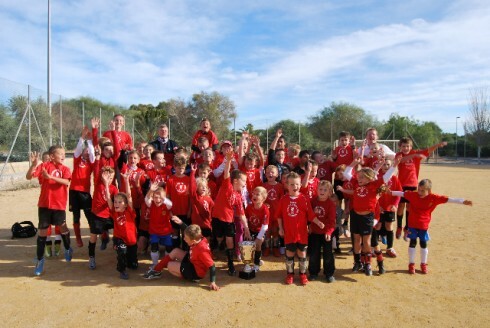 One of the success stories for local kids’ football is “Tony’s Soccer School” and its Mil Palmeras teams. They are a fully-licensed and registered team and are controlled by the governing bodies regulation about squad size. However, they have an advantage over the bigger municipal teams in that if they have enough players in a certain age category, they then can simply enter an additional team into the less competitive Vega Baja League, allowing more players to have the opportunity to play regular games at the weekend. Tony’s Soccer Club has been in operation for more than 5 years appealing mainly to players from the UK and Ireland who had difficultly breaking into the Spanish system. They have youth teams going on tours to England for 2012 and welcome clubs on tour from the UK, who are preparing for their new seasons. The club offers regular training nights and are a stable club, with a solid foundation. Tonys Soccer School has gone from strength to strength over the past season. Winning 7 trophies at the league presentation from league titles to runners up spots. This year CF Mil Palmeras the Spanish name for Tony’s Soccer School travelled to England with 2 academy teams to participate in the UK Cup. Both team played 10 games each and the younger team came out as overall tournament winners. A 50 strong party travelled to England and both teams picked up fair play awards for both age groups. The club was the only international side and at a presentation evening by John Motson won outstanding and most motivated team award. This year also CF Mil Palmeras participated in the Torrevieja cup coming out winner in the under 8 category. This season sees number a little lower especially with a few people moving back to England but will be heavily participated in the leagues and have had a large influx of girl footballers. Our Mini Kickers from 3 years is also very popular and the players who have been with us for a few years also enjoyed a cup final. Although they lost 2-1, what a great day! 3 players this year have also been selected for trials at Spanish club CF Villarreal and they will be working alongside us to help develop them. Watch this space. What a great time to be involved in Spanish football especially with now world and European champions winning the last 3 cups on the trot. Tony has also been enjoying some scouting work more recently covering premiership games and will be scouting during the Olympics London 2012. Remember our website is probably one of the most visited and informative football club websites so please take a look. The school plays under the ‘Mil Palmeras’ banner in association with the local Ayutamiento and play their home games at Pilar De La Horadada. There are excellent opportunities for girls to play and their football coaches have been with the club since almost its inception. This is a well-organised, friendly and approachable football Club with excellent social and community links. They also offer those over fifteen-year olds the opportunity to undergo residential, player trials and assessments with ex-premier league club coaches in England and organise a ten-week summer camp which this year had more than 300 players in attendance. This season they have brand-new, sponsored league kits along with a tracksuit sponsor so all the kids will look as sharp as their professional football heroes. The kits were kindly supplied by the area’s number one car hire company, Coys Cars. Their owner said, “We are delighted to be more closely associated with the school. We have been following the progress over several years and it is clear the school gives great pleasure to a huge number of children every week. Importantly, it is run in a professional manner and the children learn the value of discipline, friendship and team-spirit as well as pure football skills. We look forward to a long and happy relationship”. 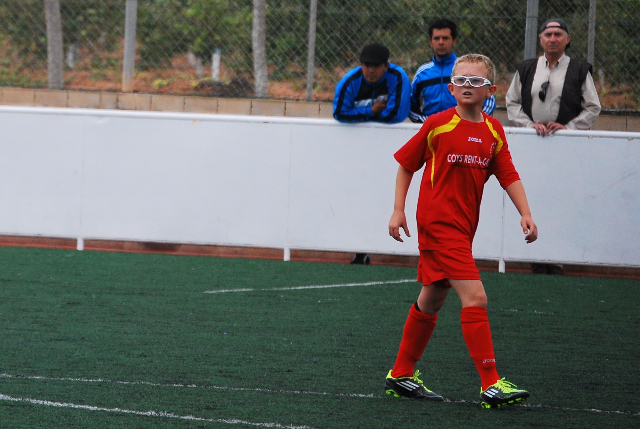 Along with their own training kits, regular player assessment and its player achievement and recognition system, the club clearly fills a much needed gap for players of all abilities and ages on the southern Costa Blanca. You can find out more information at www.tonys-soccer-school.net, on Facebook at ‘tonys soccer school’ or cut to the chase and speak with Tony directly on 678 955 501.